People who are familiar with and know the order of our Orthodox divine services (Typikon) know that these services often utilize prokeimena. This Greek name denotes any text from the Holy Scripture that has a particularly close relationship to any given feast day. For example, when there is a feast in honor of St. Basil the Great, St. Gregory the Theologian, or St. John Chrysostom, these great theologians and teachers of the faith, then the prokeimenon corresponds to their great glory: "My mouth shall speak of wisdom; and the meditation of my heart shall be of understanding." For their mouths, truly, pronounced to the world the words of divine wisdom. Today we celebrate the feast of another great hierarch, St. Nicholas the Wonderworker, but we hear another prokeimenon: "Precious in the sight of the Lord is the death of His saints." This prokeimenon is proclaimed in honor of many great saints. But although St. Nicholas the Hierarch and Wonderworker instructed and taught his flock with inspired and grace-filled words, his principal glory does not lie therein. We know wherein lies his true glory. Holy ascetics and saints who were glorified for their works of charity and mercy are so named: "merciful." 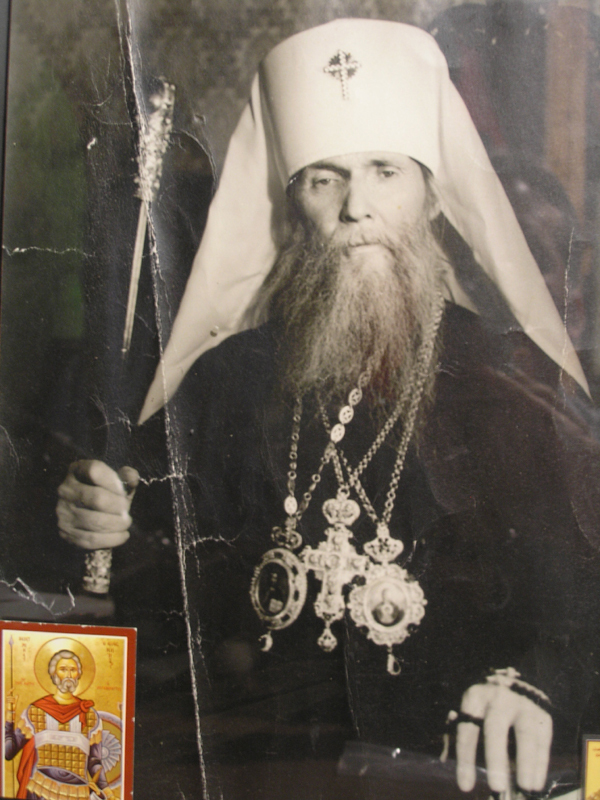 Very recently the Church glorified one such great merciful saint: Righteous Philaret the Merciful. And today She magnifies St. Nicholas, whom the Russian people likewise named in honor of his wondrous works of love and charity "Nicholas the Merciful." And Russian people, seeing someone in sorrow, in misery, in infirmities, will say to him: "Pray to Nicholas the Merciful, and he will tell the All-Merciful Savior of your need." I would like to remind you of the special glory given to St. Nicholas, above that given to other holy God-pleasers. It is the fact that his name is honored among pagans who know not Christianity. And there is a reason for this. There was an incident well-known to the citizens of Harbin. In Harbin there was a so-called "New Cemetery." It was bordered on one side by a long, tall, steep cliff. One day, some Chinese children were playing there. They were playing under some overhangs of the cliff that could easily fall. And so, while the Chinese children were playing there, suddenly a radiant elder appeared to them, who sternly told them in Chinese that they were to immediately leave this place. The frightened children ran, and as soon as they had run away from that spot, a huge piece of the cliff collapsed. They would have been crushed under it, had it not been for the elder's warning. News of this spread swiftly among the Chinese, of course, and later among the Russians. One Russian hunter, occupying himself with his favorite pastime, walked far off into the jungles of China. Weary, he entered a small Chinese village. The Chinese, a welcoming, genial people, offered him a place to rest. Entering into one of the huts, he saw nailed above the entryway an icon of St. Nicholas. He realized that, these being pagans, the icon must have somehow accidentally ended up with them, and he asked the master of the house to give him the icon. He grew upset with him and answered, "This old man is a very good man; we honor him much, because he helps us greatly." I recall one more instance: at the train station in Harbin there was a large, ornate icon of St. Nicholas, which many considered to be wonderworking. 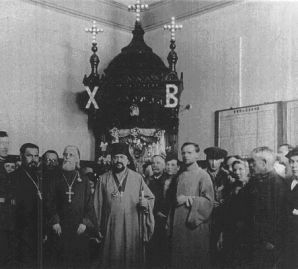 All Russian Orthodox people (excepting, perhaps, the atheists), when they traveled by train and wound up in the Harbin train station, considered it their Christian duty to pray before that icon and put up a candle. There was one incident that took place in the spring. There was an ice floe on the large, wide Songhua River. Many people had gathered at the station, and trains were passing through frequently. Suddenly they see a Chinese man run into the building, soaking wet. He ran in, threw himself before the icon, falling to his knees, and began to cry aloud something in his own language. It turned out that he was thanking the holy Hierarch. What had happened? He was in a hurry and decided to risk it — he chose to cross the river by jumping across the drifting ice. The ice on the Songhua was fairly solid and thick. So there he was running, and suddenly he fell into the water and found himself under the ice, drowning… But, remembering the icon and how deeply the Russians venerated it, cried out in Chinese: "Old man from the station, help me!" And he appeared on the shore, wet, but on the shore… How? He couldn't understand… He then got up and ran the whole long way to the station, fell before the icon and offered his thanks. It is no coincidence that St. Nicholas is venerated not only by the Orthodox Christian population, but by pagans, as well. It is done unto them according to their faith! And that is why the Russian person will always turn to St. Nicholas, regardless of what he may need, because he knows and believes that many voices call out to the holy Hierarch, there in the holy, Heavenly realm, but the holy Hierarch will always hear and come to the aid of the voice of faith, the voice of hope against hope. It is no coincidence, I repeat, that the Russian people call him Nicholas the Merciful.